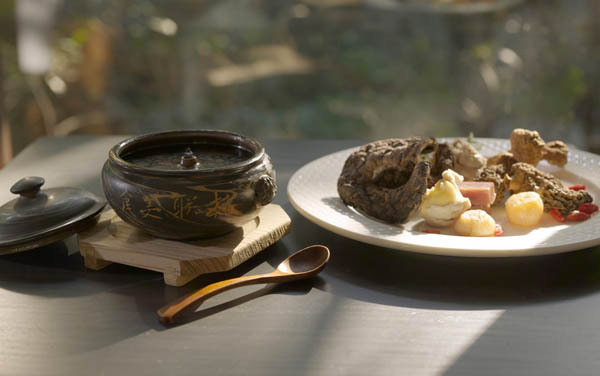 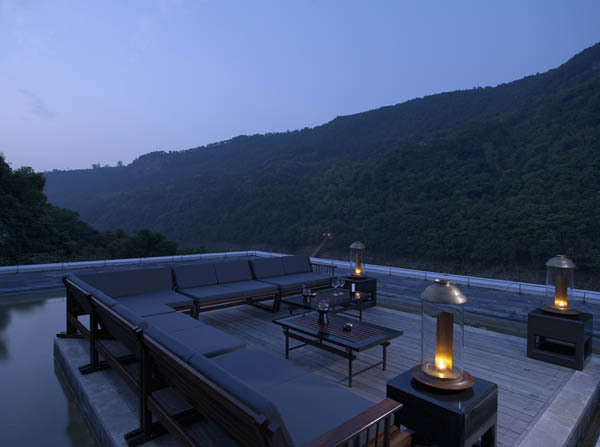 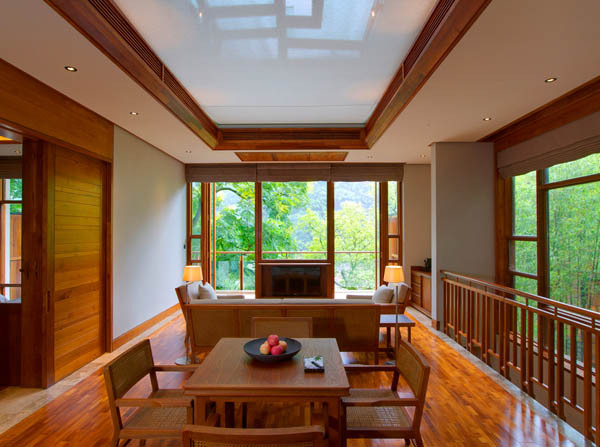 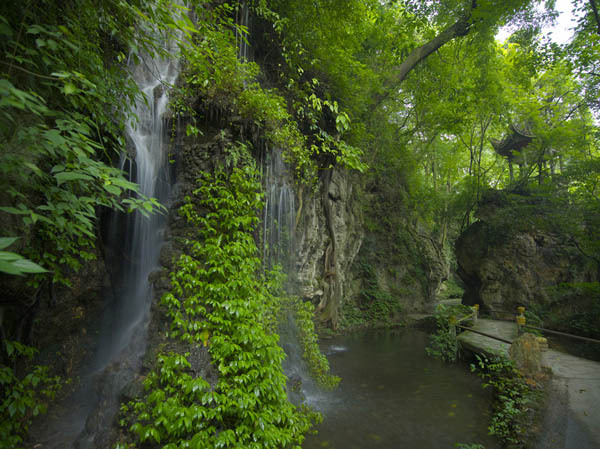 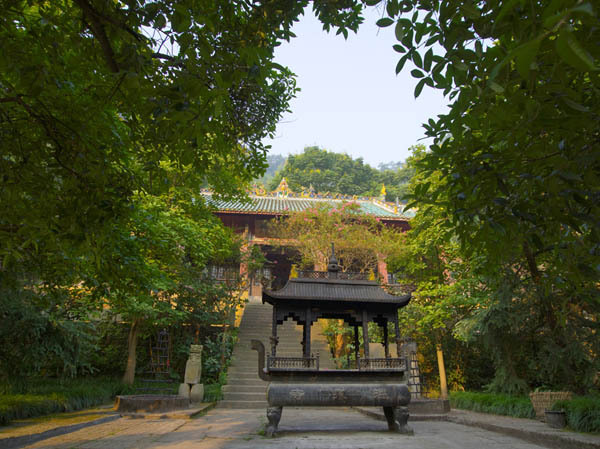 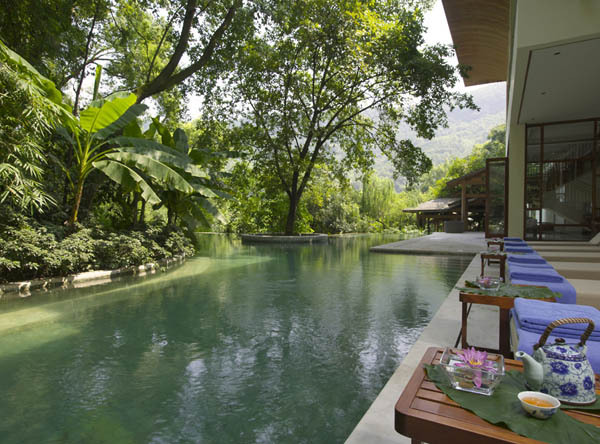 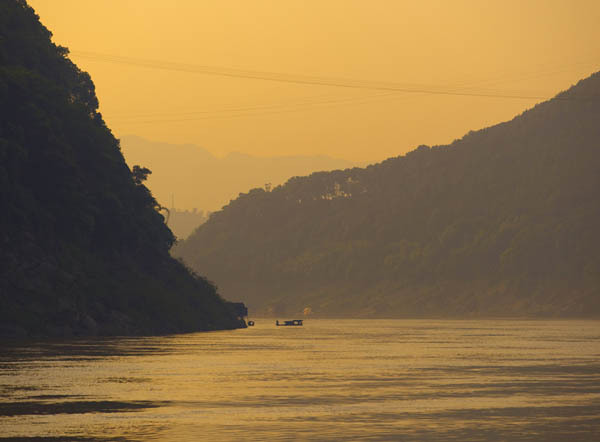 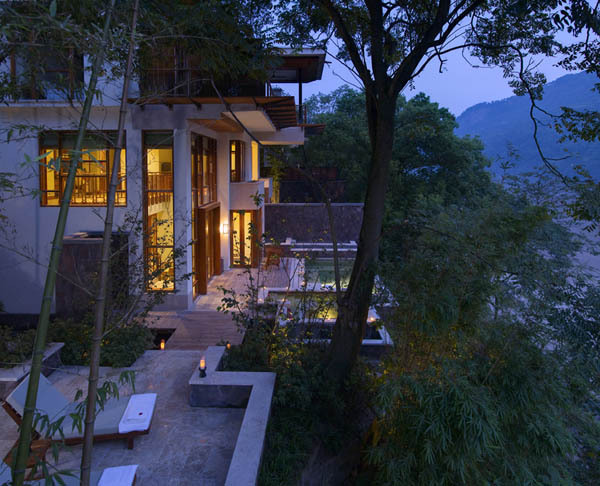 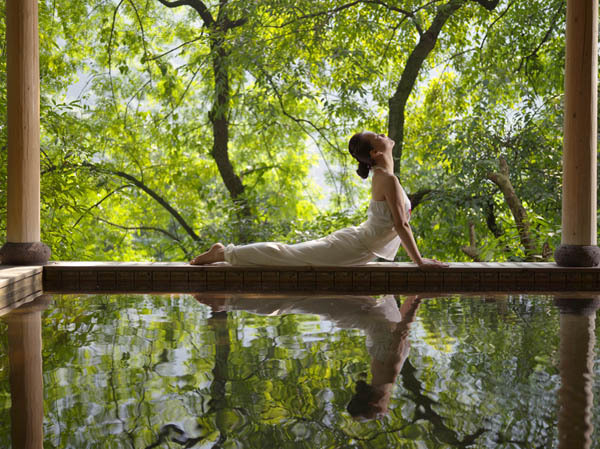 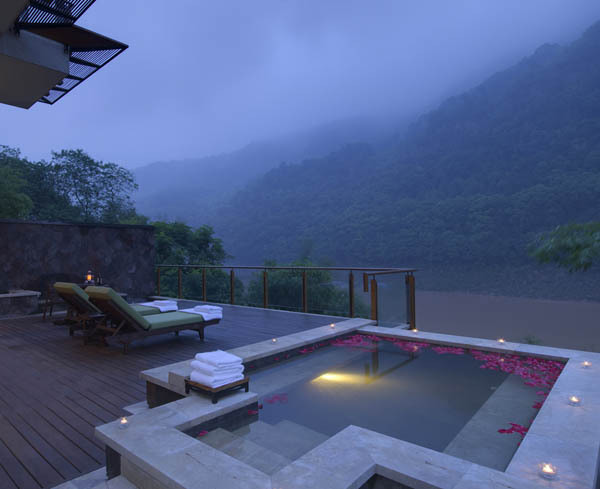 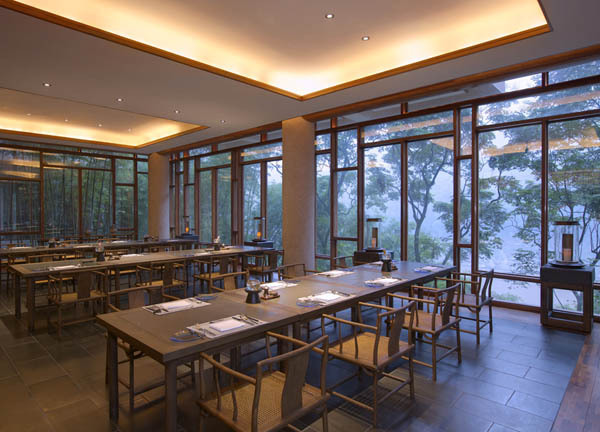 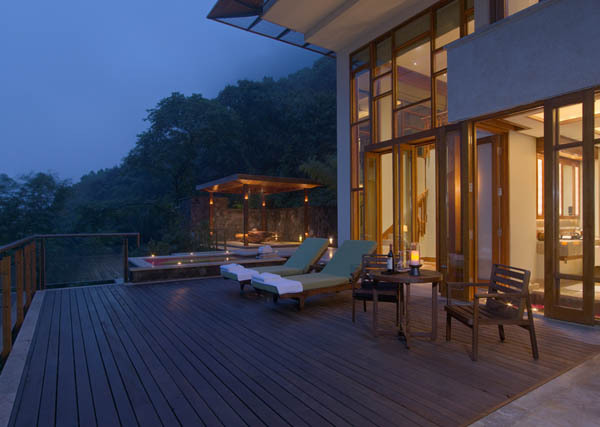 Nestled in North Hot Springs Park and perched high above the Jialang River, Brilliant Resort & Spa Chongqing is nestled amidst lush green mountains within the grounds of ancient hot spring temples, built in the Ming and Qing dynasties. 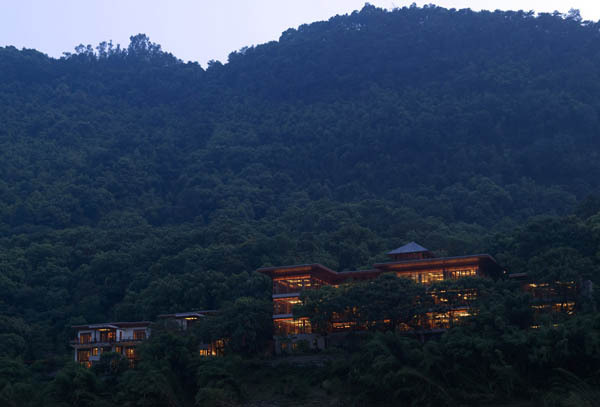 Renowned for their healing powers, the hot spring waters form the centrepiece of this enchanting spa complex. 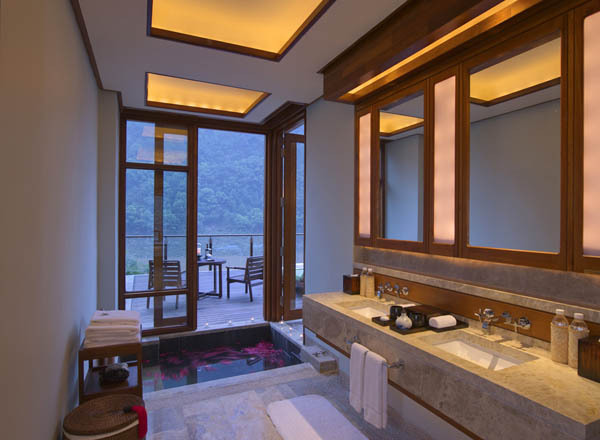 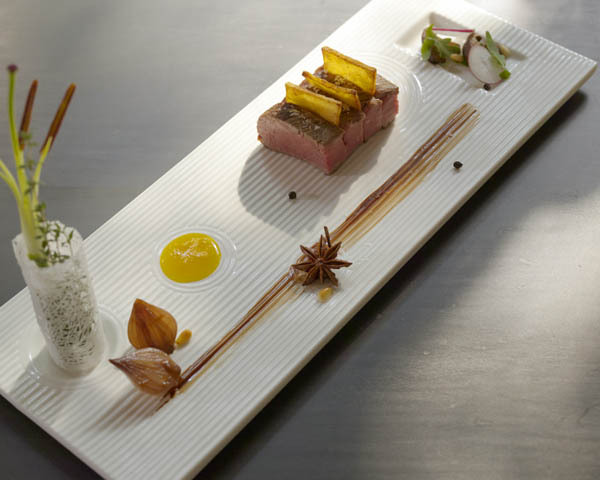 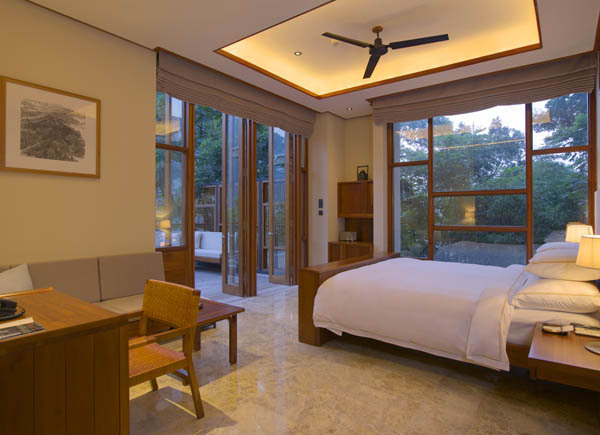 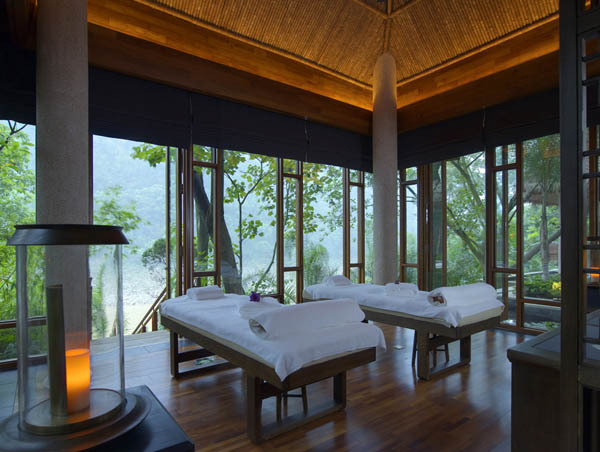 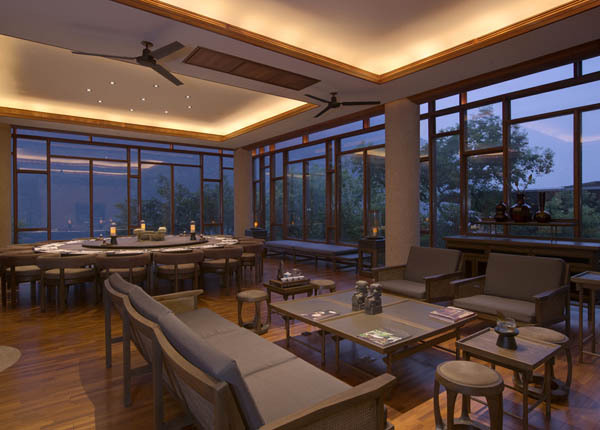 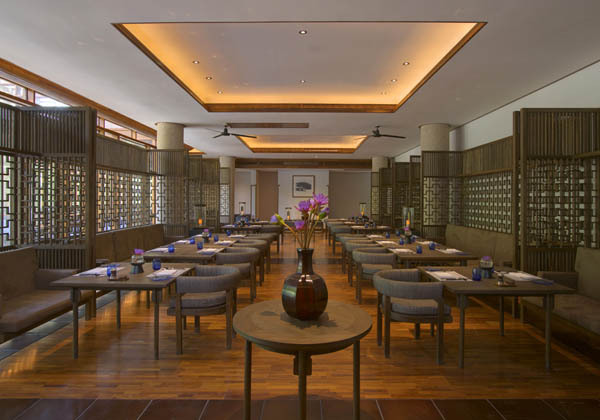 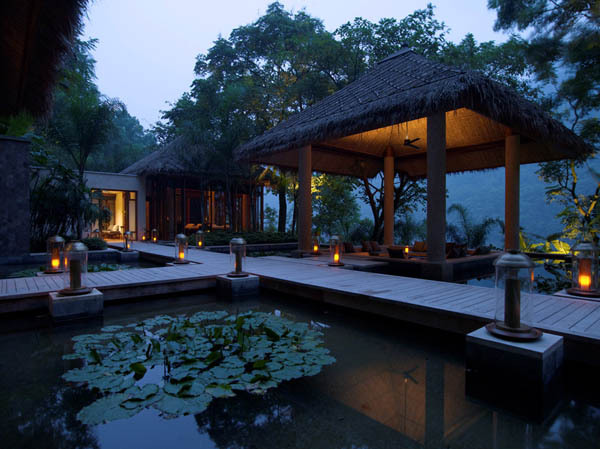 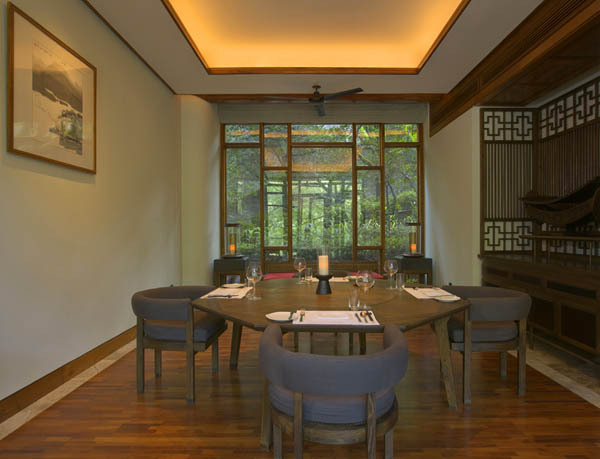 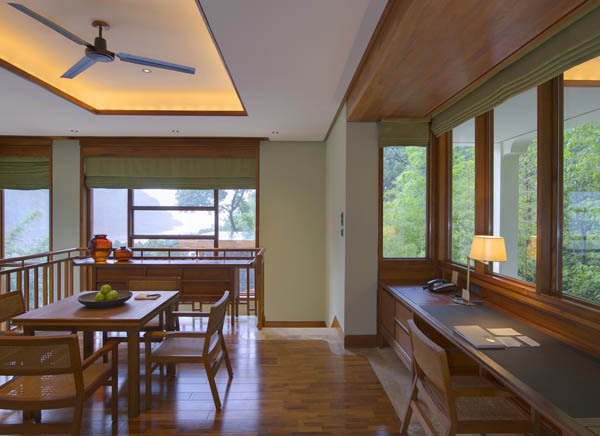 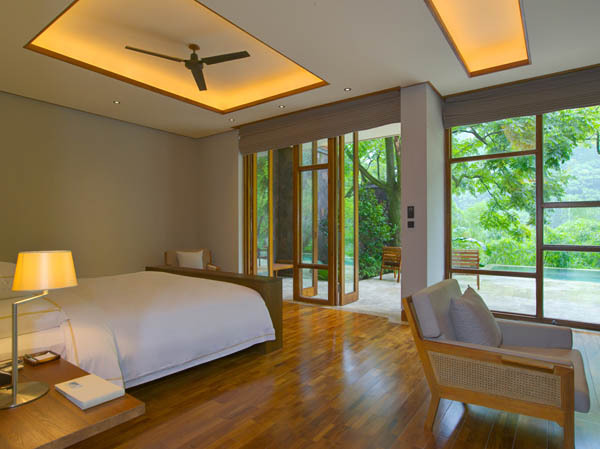 With 31 spa suites and villas, featuring polished wood, marble flooring and original Chinese art adorning the walls, the resort has a definite air of peace and calm. 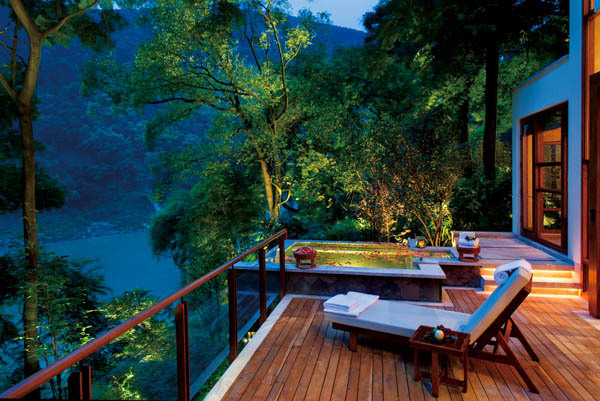 All the accommodation has an outdoor terrace with a private hot spring bath. 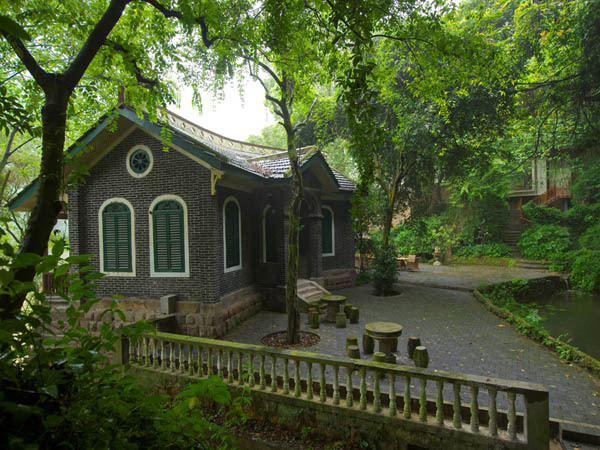 There is even a relaxing reading room where you can read up on tea culture, Yoga, spa therapies, and the history of Chongqing.